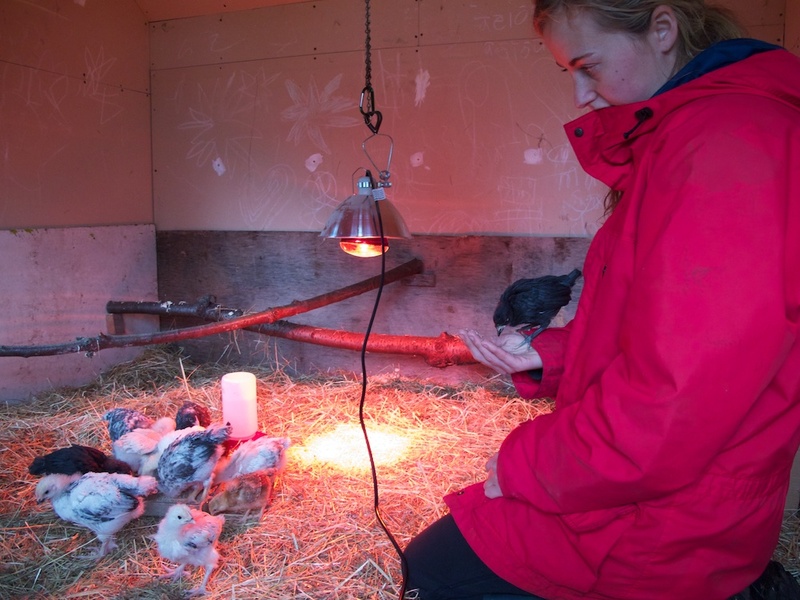 The chicks moved out today...to their new coop. They seemed pretty happy to have more room to run around. We hung the heat lamp on a chain attached to the ceiling and zap strapped the wire up the chain, along the ceiling and out of the playhouse coop. We closed the coop door tonight to keep it warmer but we'll open it during they day so they can have the outdoor part to play around in, too. We had 4 fresh eggs again for breakfast and then a giant harvest of our veggies for dinner! Yup, that's the giant harvest. 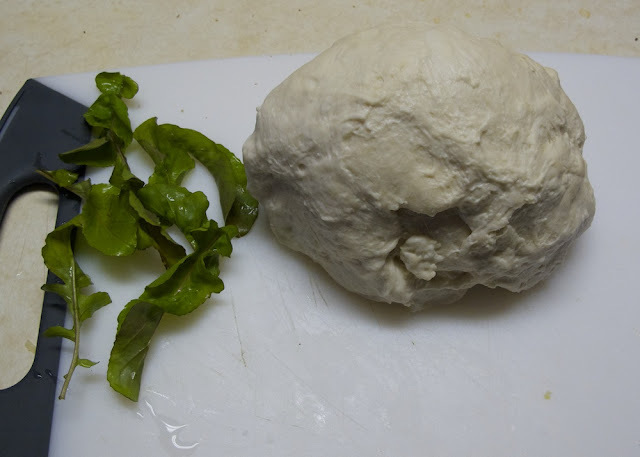 8 arugula leaves. That's ok, they topped our delicious homemade pizza. 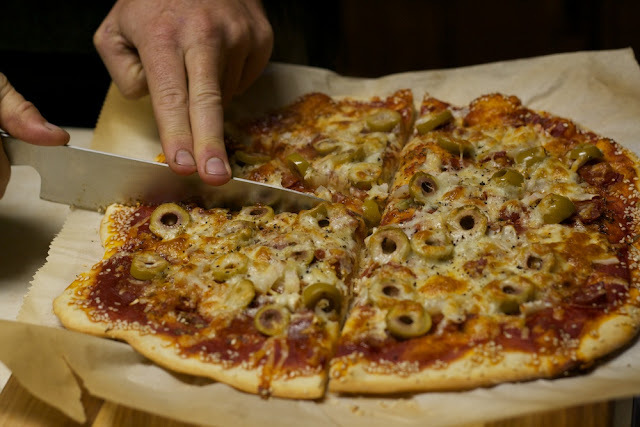 Hot genoa salami, green olives, onion and garlic (and the patented sesame seed crust). 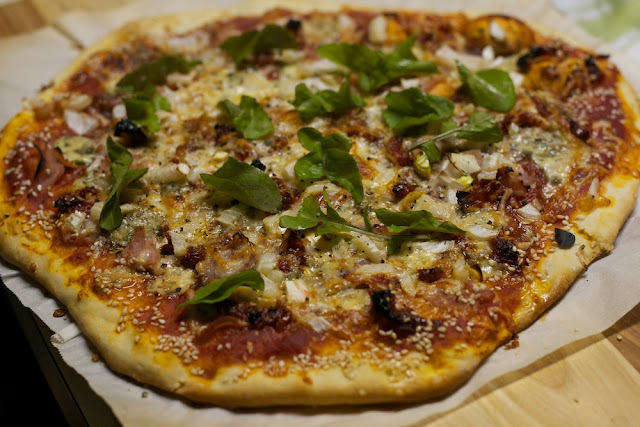 Ham, sundried tomatoes, blue cheese, onion and arugula.